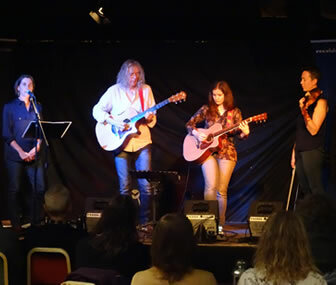 At the end of 2016, after several years of mutual admiration, the award-winning acoustic group, Whalebone asked me to work with them on a new kind of performance, combining their original music and my poetry. We spent several months experimenting, and we were astonished at how easily the words and music blended and then transformed each other. In March 2017, we launched Flocks of Words – the performance at Wenlock Books, to a standing-room-only crowd. The performance consists of two 45-minute sets, each of approximately nine interwoven tunes and poems. 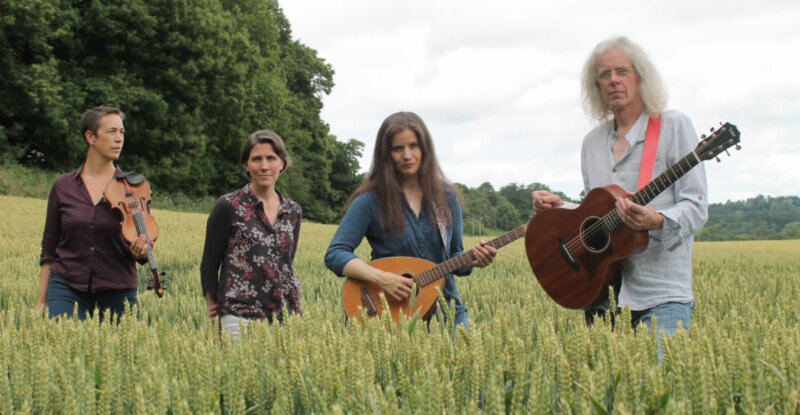 The interaction of the verse and music is immersive and moving, exploring universal themes such as mythic landscapes, the connection of people to countryside, the beauty of the seasons, and the joy of community. 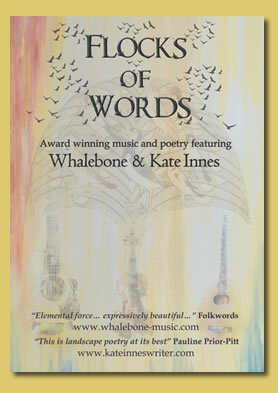 Working with Whalebone has changed the way I think about my poems. And it has been a powerful joy to work with such talented and professional musicians. We have performed in libraries, village halls, country park centres, bookshops, assembly rooms and cafés – and we are happy to consider any venue. The Taster Performance – for smaller venues – lasts 45 minutes.